My Tribe | Redefining "Walking Distance"
Years ago I quickly read through a slender book on leadership called “Tribes” by Seth Godin. The premise of the book is that we all have a predilection for connecting with other people over shared ideas and interests. As Godin explains, “Human beings can’t help it: we need to belong. One of the most powerful of our survival mechanisms is to be part of a tribe, to contribute and take from a group of like-minded people.” He sites many examples of tribes throughout the book from Crossfit members to Deadheads and your Twitter followers. My tribe is a dirty bunch. We think it is all in good fun to be snowshoeing through a blizzard at 7,000 feet or sleeping in the dirt in the same sweat stained clothes we’ve worn for the past week. 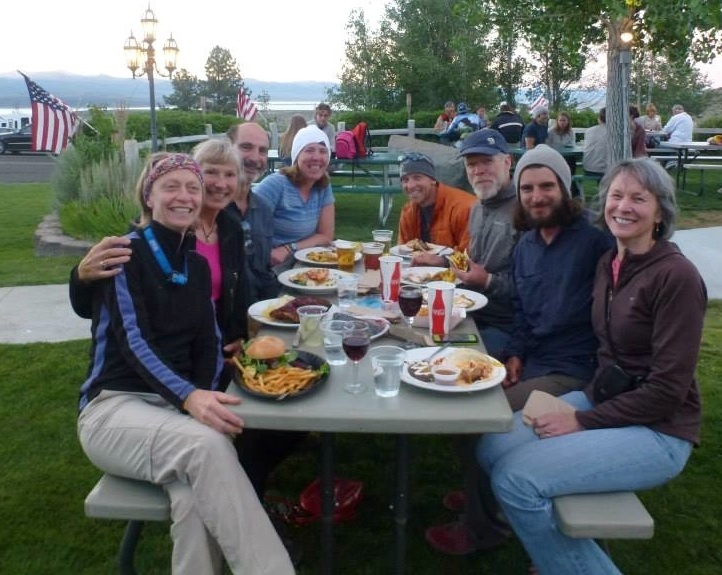 I feel blessed to have found this tribe when I worked as a backpacking guide with Sierra Spirit. They mean the world to me. My tribe is part of a larger community on the trail. In this community you look out for each other. You share your extra water with a fellow thru-hiker so they don’t have to hike a mile out of their way to get some. 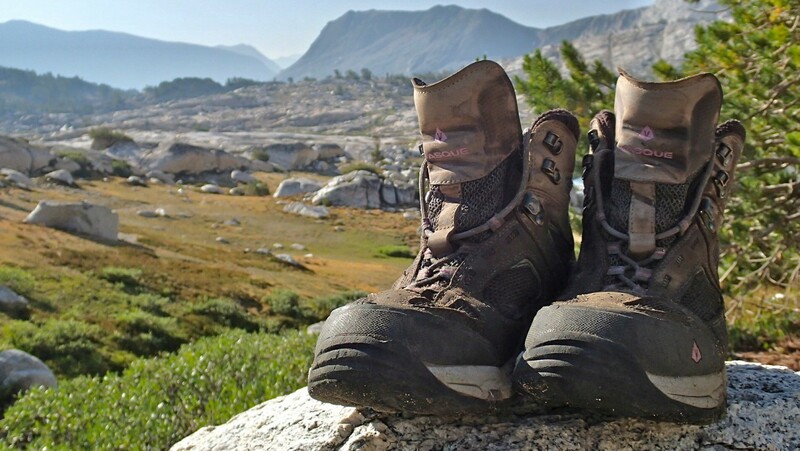 If it is your last day on the trail you give your flip-flops to the hiker who lost theirs and still has weeks of hiking ahead of them. You share your precious food with the group that got stuck out in the big storm and is now late getting to their resupply. You loan your water filter to the guys who have a busted one. That’s how community works. And on the PCT there is something called a Trail Angel. Rich and I met our first Trail Angel where the road crosses Ebbet’s Pass. We had been hearing about Doug from passing hikers along the trail for a couple of days before we reached the road where he had his SUV parked in the tiny turn out at the trail head. He had brought an E Z Up, folding table, chairs, and food. Lots of food. When we arrived he told us, “Sit down and take your boots off. I’m going to feed you.” So as he cooked us eggs to order on his 4-burner Coleman stove we ate Captain Crunch, and poured ourselves some orange juice and milk. It was amazing. Doug refused to take any money. He just wanted to hear our stories and help us along the way on our adventure. It was truly a joy for him to serve others. It was his way of being a part of our community. And so we let him serve us. 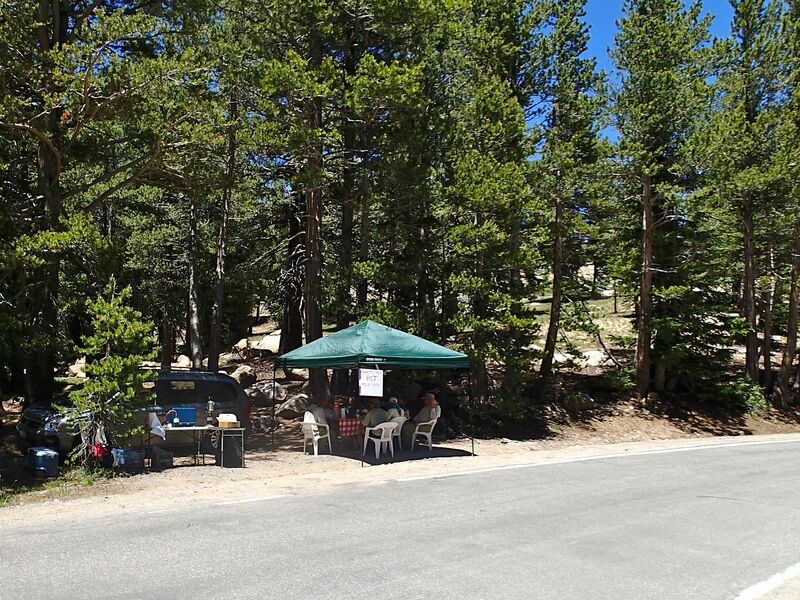 Our next road crossing was days later at Sonora Pass. My parents met us at the trailhead parking lot and greeted me with a Diet Coke, a cold beer and a bag of Cheetos. There were also trail angels there and this demonstration of community amazed my parents. The trail angels had set up picnic tables full of fresh food and cold drinks. A doctor had come up with supplies and was treating infected wounds, swollen blisters, and strained muscles as best he could. Delighted at the treat my parents brought. Some trail angels watched hikers descending the hill towards the parking lot expectantly through their binoculars. When they noticed a hiker limping down the hill they grabbed some food and water, hiked it up to her, and carried her pack down for her. The doctor looked at her shin splints and helped get her a ride to a medical facility. When Rich and I arrived we easily and immediately fell into conversation with these complete strangers. We grabbed a seat in the dirt against a tree and swapped information about trail conditions and mosquito density. We may not have known these people but they were a part of our community. The hill descending down to the road at Sonora Pass. My parents were astounded, and I believe comforted to finally understand that although I was out in the middle of the woods all summer I wasn’t alone, I had my tribe. There are many gorgeous sights to see along the trail, but one of the most beautiful things to behold is the power of a healthy community. This past weekend I drove up to Martinez CA, the birthplace of John Muir, to reunite with many of the members of my tribe. We ate, shared pictures and sat around a fire singing with a guitar and a fiddle. The energy and love that fills the air when we are together is palpable. I am truly grateful for the community of the trail and the friendship of my tribe! Enjoying the view near Pinchot Pass with one of my favorite tribe members; Karen. It sounds like Tara Roberts at Thin spiral notebook knows who her tribe is in her post We are family. I never did the PCT, but did a bunch of roaming in the Eldorado National Forest when I lived in Placerville and Pollock Pines, west of Lake Tahoe. Back in the 1970s, I’d never heard of the PCT or I might have been tempted. It is a tempting place that is for sure. And Tahoe was a wonderful place to start out on this adventure.